Give your space a Feng Shui makeover to invite peace and prosperity! Feng Shui is the traditional, Oriental art of placement of thing, charms and even furniture to help one invite good fortune, wealth, health and happiness. 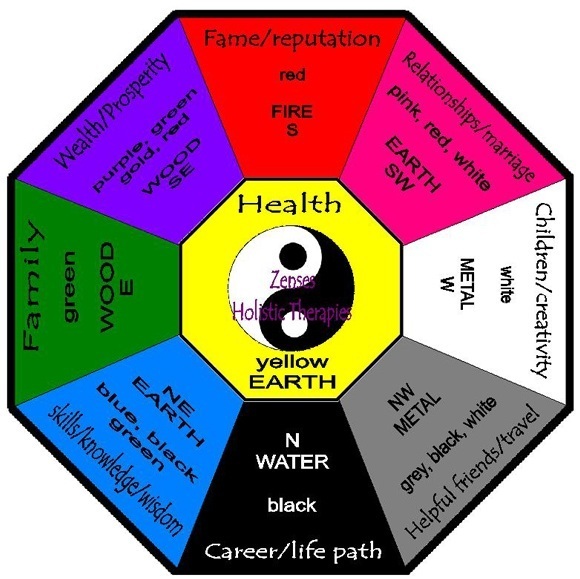 Feng Shui works around five main elements of water, wood, fire, earth and metal. Each one of these five elements moves in a different way and makes the energy of the environment vary with it. Feng Shui is known to positively affect our health, wealth and relationships. If your career is not moving in the way you wish, Feng Shui tips will attract good luck and bring new opportunities to your career. Feng Shui can add light to all the areas of your life. It activates Chi – the essential energy that is inside everyone. The light may be natural sunlight, electrical light, candle, holiday light, oil lamp or a natural or simulated fireplace. Tape three I-Ching Coins tied with a red thread, Yang side up, to your most important file in the office. The Yang side has four characters and the Yin side has two characters. This could be the file of your bank accounts, invoice file, prospective customer file. Placing the coins there will ensure that your cash flow stays healthy throughout the year. To attract money into your home or office, hang three I-Ching Coins on the door handle inside your main door. Tie the coins together with red string or thread in 9-inch increments to activate the prosperity already inside. To activate a never-ending source of income, tie three I-Ching Coins with 9-inches of red thread and place them in your wallet. Enhance your intellectual clarity and expand your thoughts by hanging a faceted crystal ball in the Knowledge Gua of your home or office. For a positive effect, hang crystal balls with fishing line and add a red ribbon, cut to a multiple of 9 in length (i.e., 9, 18. or 27.). If you want to enhance your career, then put a crystal ball directly over your head. This cure promotes ease in getting sleep, peaceful dreams, calmness and freedom. Expect your telephone to ring with good personal or professional news by hanging a faceted crystal over the phone in your home or office. Hang a Feng Shui crystal over your bed to activate and harmonize whatever energy you want to attract to your life. Plants are very auspicious from the point of view of Feng Shui. Houseplants generate vital energy. The wood element represents spring, new beginnings, growth and wealth, therefore it is important to place houseplants in every room. Colorful flowers bring even a greater balance in your life. Purple flowering plants, placed on the main entrance of your home or room, can attract greater wealth. Pink, fuchsia and red flowers promote love and should be placed in the Relationship Gua . The secret is to create a balance between Yin and Yang. Yin is passive, nurturing, soft and dark while Yang is active, aggressive, hard and bright. Don't place thorny plants that grow down inside your house. This is a renowned Feng Shui cure for reviving and restoring positive Chi. It sounds wacky but it really works. If you are nervous about a meeting with your boss or perspective client or you need extra protection around a person, you can protect yourself with the orange peel cure. In the morning, peel a fresh orange and keep nine pieces of the peel in your pocket. Carry the peels and visualize all negative energies being absorbed by peels. Nine is a very auspicious number in Feng Shui and it means culmination and completion. Each time you notice the peels in your pocket, repeat the visualization. The front door in Feng Shui is considered very important. If your entrance cannot be seen easily from the street, opportunities and income will have a hard time getting to you. This can negatively affect your wealth, health and other areas of life. The front door allows money and health, a new job and relationship to come into the dwelling. Invite Chi to your house by placing lights or moving objects like flags, a water feature or wind socks along the path. Front door must be clean and well lit to welcome Chi. Metal energy is associated with both wealth and protection. Boosting metal energy in your home or office will help you reap the rewards of your hard work. A clutter-free room gives a sense of freedom and releases creative thoughts and ideas. Objects like domes, arches, clocks, metals, stones, gems and crystals bring more metal Chi into a space. You can focus on your plans, business and finishing projects. Items with circular designs, round or oval, metal objects, the color of white, gold and silver promote finances and budgeting.